Tiger shrimp, Penaeus monodon has been the mainstay of India's seafood exports for the past two and half decades (recently, Litopenaeus vannamei was introduced) and has immense potential as a foreign exchange earner. It also has substantial contribution towards socio-economic development in terms of income and employment. Shrimp aquaculture is threatened by changes in temperature, precipitation, drought and extreme climatic events (cyclones, storms, floods) that affect infrastructure and livelihoods which can impact aquaculture both negatively and positively. Ecological changes, inundation of low-lying lands and saline intrusions into freshwater regions are likely to cause substantial dislocation of communities and disruption of farming systems. In the face of potential complexities of climate change interactions and their possible scale of impact, the primary challenge for the shrimp aquaculture sector will be to deliver food supply, strengthen economic output and maintain and enhance food security. It is expected that the climate change impacts will be disproportionately felt by small-scale shrimp farmers who are already amongst the most poor and vulnerable members of society. The small scale farmers are typically unorganised and most of the farmers did not have access to technological innovations and scientific applications. 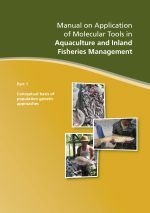 There is a need to forecast the likely effects of climate change on the shrimp aquaculture sector and to develop strategies to assist farmers and rural communities to adapt to the upcoming changes. The project on "Strengthening Adaptive Capacities to the Impacts of Climate Change in Resource-poor Small-scale Aquaculture and Aquatic Resources-dependent Sector in the South and South-east Asian Region" (Aquaclimate) funded by Norwegian Agency for Development Cooperation and coordinated by the Network of Aquaculture Centers in Asia-Pacific (NACA), Bangkok aims to strengthen the adaptive capacities of rural aqua farming communities to the impacts of climate change in four Asian countries viz., India, Sri Lanka, Vietnam and Philippines. 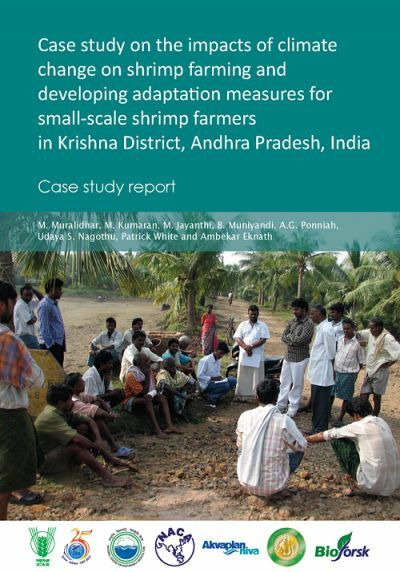 The focus of the present study report is on mapping the small scale farmer’s perceptions and attitudes towards climate change impacts and their adaptive capacities to address the impacts in Krishna District, Andhra Pradesh, India. Central Institute of Brackishwater Aquaculture (CIBA) is the national partner to conduct the study in small-scale farming clusters formed by National Centre for Sustainable Aquaculture (NaCSA). NACA publishes technical papers and manuals for a wide variety of farming systems and related environmental and social issues. Many of these provide guidance on better management practices with a view to improving crop outcomes and on-farm resource utilisation efficiency. By using inputs such as feed and power more efficiently, farmers can simultaneously improve their profitability and environmental performance.